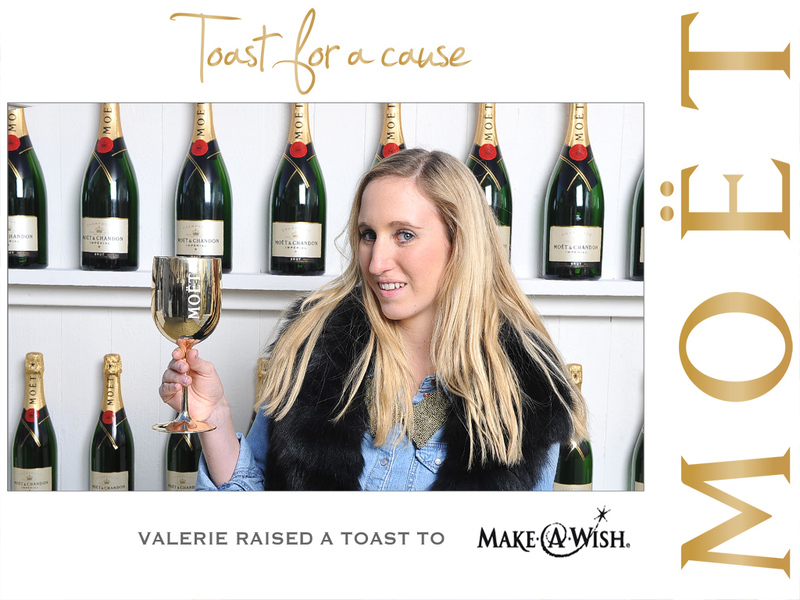 Today I was invited to take a look at the Moët & Chandon X Make-a- wish foundation pop-up bar before it opened for the public. When I entered the pop-up bar, I instantly felt the cosines. They have created 2 sitting areas and a spot where you can get your picture taken by a real pro in front of a big wall filled with Moet & Chandon bottles! That picture will be shown on a huge screen outside!! How fun is that! It’s not only the perfect break for all those shoppers, but it’s also the perfect place to hang out during lunch breaks with friends or co-workers! You will not only enjoy yourselves there with good champagne… actually, you will help the Make-a-wish foundation as well. For every sold glass, 2 Euros goes to the foundation! Well, I’ll drink to that ! How cool is this. That's such a novel great idea to raise money, and they roof...can't even imagine how gorgeous that is at night! amazing starry roof at night or you can even watch the first snowfall , if it is ever coming? got the golden box, too! love moet!